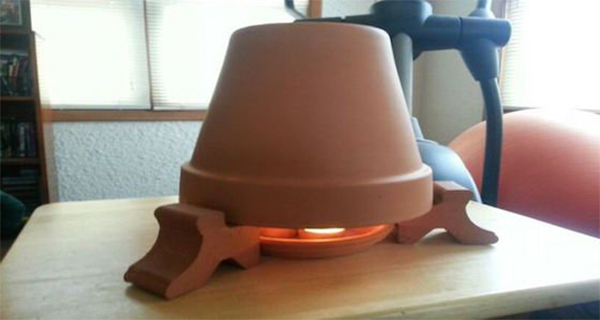 DIY heaters are simple candle-powered heaters which can be used for heating small rooms. They can reach 160-180 radiant temperatures. Unfortunately, they cannot heat the entire house. But they can be very useful if you have small bedroom or bathroom that doesn`t get warm enough. Some people use it to heat their workshops, sheds or even greenhouses. Anything that can save you money on heating bills in the coldest months of the year is a good idea, so you have nothing to lose with trying this DIY heater.